I haven’t done a post like this in awhile and since my skin care routine changes up a little bit during this time of year I thought I’d share with you my fall and winter skin care essentials. These are the products that I use on a daily basis to keep my skin in tip top shape. Sometimes I may add other things in the mix like masks and trying out different cleansers, but for the most part, these are the products I use. 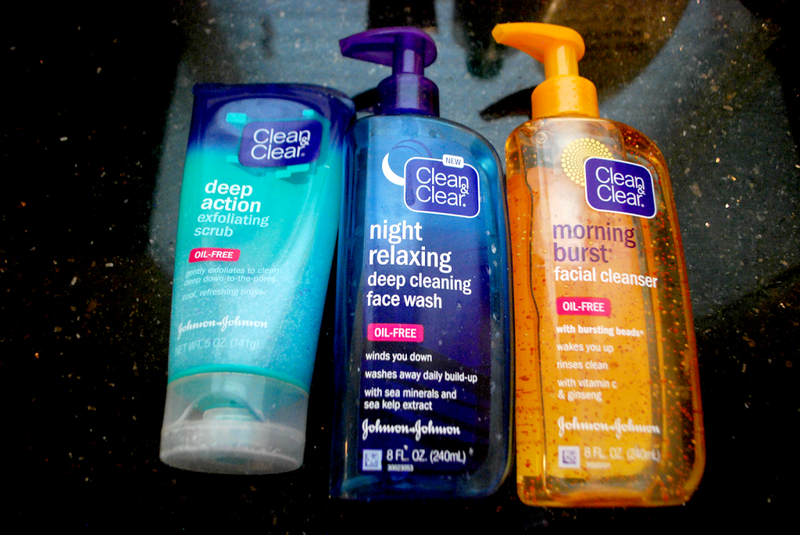 As you can tell, I am a big fan of Clean & Clear products and have used them for years. They play a big part in my daily skin routine. I use the scrub about once a week whenever I feel a pimple coming on or feel like I need a good exfoliation. I use the morning burst cleanser every morning to wake my skin up and boy does it work. It used to have caffeine in it but it looks like they removed that ingredient. I use the night relaxing cleanser each night to help me wind down before bed. All of these products have done me well and I would highly recommend them. 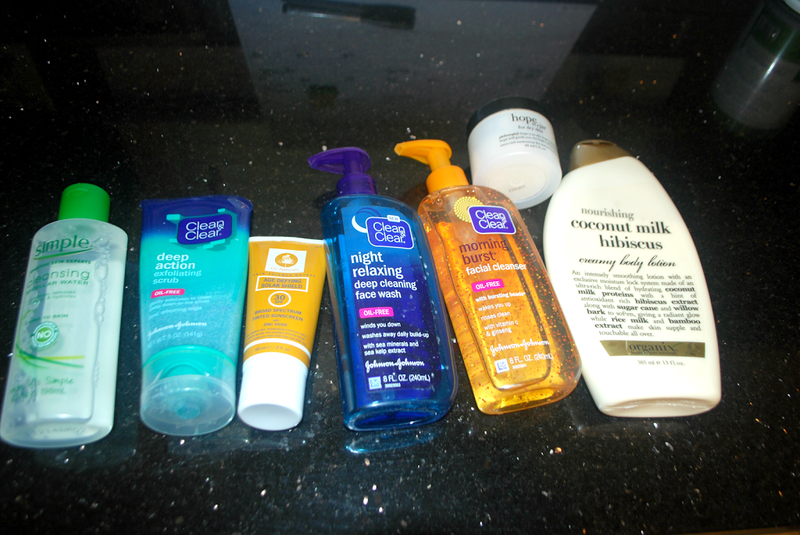 Now for my more protective/moisturizing products. Even though the temperatures are starting to cool down, the sun rays are still going strong so I always wear sunscreen year round. Recently I was given the opportunity to try out the Oz Naturals Age Defying Solar Shield Tinted Sunscreen with 30 SPF and let me tell you, it’s wonderful. I am not very particular about my sunscreen, but I really enjoyed this one. I like that it is suitable for both your face and body and can even be worn under makeup. 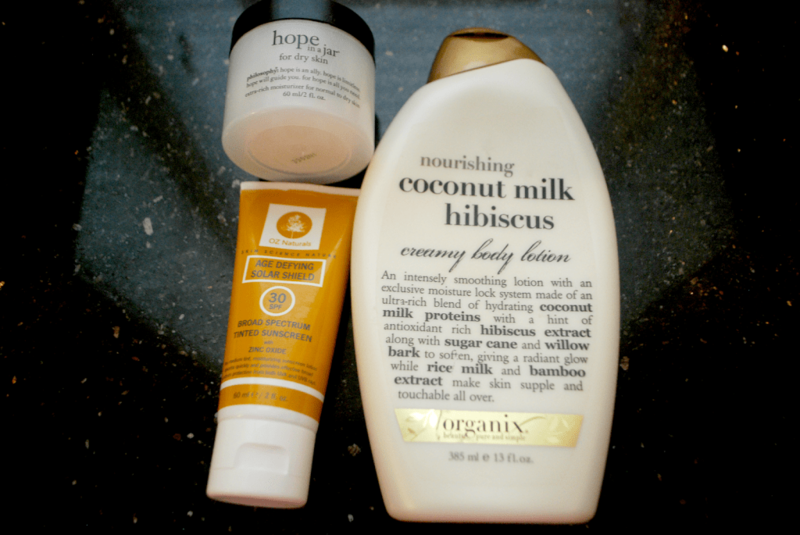 Another favorite is the Coconut Milk Organix body lotion. It’s really creamy and moisturizing and makes my skin feel baby soft with each application. The last product I want to talk about is the Hope in a Jar moisturizer. I tend to break this out during the fall and winter months when my skin is a little more dry. It’s a heavier moisturizer but it gets the job done and replenishes the moisture in my skin. What are your fall/winter skin care essentials? Let me know down in the comments. Disclaimer: This post was sponsored by Oz Naturals & Brandbacker. All opinions are my own. Thanks for supporting brands that support Breakfast at Lilly’s.